Don't be afraid of the EBow. 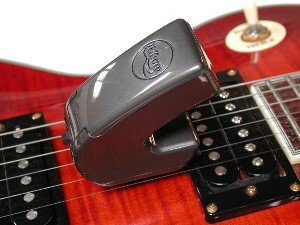 Slide it along the strings, tilt it, slap it into place over the pickup and see what happens. Try it over all your pickups to hear the difference in tone. We mostly play over the neck or rhythm pickup but not always. You'll have to press the EBow pretty hard against the strings when you're back near the bridge or it won't drive the string at all. When you hear something you like, try to repeat it. Then master it as a technique. 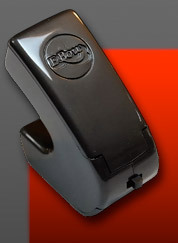 Play with your amp and guitar 'tone and volume' settings when using the EBow. Usually, you'll want to cut the highs and lower the volume but not always. Mostly you don't want the string to buzz against the EBow drive channel but sometimes you may even want that effect. You get the most control playing near the pickup but sometimes you might want a very clean natural string sound and you'll stay far from the pickup. You'll have to turn up the volume if you play away from the pickup and changing to another string will then be clanky if you don't muffle the support strings. There are no rules just techniques. You're sure to discover your own. It's been called the most revolutionary development in guitar technology since Leo Fender electrified the instrument in 1948. But we call it... just plain fun. Check out this list of record cuts that feature the EBow, or sample the EBow sound.